Periodontal gum disease is a relentless enemy to dental health that destroys gum tissue and the teeth’s attachment to the jaw. As it ravages these tissues it often creates periodontal pockets, hidden spaces between the teeth and bone that fill with infectious bacteria capable of accelerating damage to teeth and gums. The primary treatment goal for gum disease is to create an environment that is cleansable below the gum tissues, in order to remove as much bacterial plaque from the tooth, gum and root surfaces as possible. Periodontal pockets pose a challenge to this goal as they are extremely difficult to access using standard cleaning and root planing techniques the deeper they become. 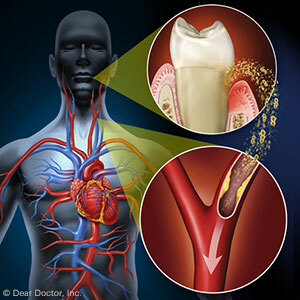 Cleaning and treating these deep pockets, however, is made easier with a procedure known as periodontal flap surgery. This procedure is not a cure, but rather a way to access the interior of a periodontal pocket to remove infection and diseased tissue. In effect, we create an opening — like the hinged flap of a letter envelope — to gain entry into the affected pocket. Not only does this opening enable us to clean out infection within the pocket, but it can also facilitate cleaning the tooth’s root surfaces. It also provides an opening for us to insert grafting materials to regenerate lost bone and tissue. It’s nearly impossible for this tissue regeneration to occur if bacterial infection and inflammation persist in the affected area. Periodontal flap surgery provides us the critical access we need to effectively remove these contaminants that stymie healthy growth. This procedure is normally performed with local anesthesia and usually results in little bleeding and minimal post-operative effects. Once we have finished any procedures to clean the pocket and other affected tissues, or installed grafts for future bone and tissue growth, we would then seal the flap back against the tooth using sutures and gentle pressure to promote blood clotting around the edges. We might also install a moldable dressing that re-secures the edges of the flap to their proper position and prevents food debris from interfering with healing. Periodontal flap surgery is the result of years of research to find the best techniques for treating gum disease. It’s one of many weapons in our arsenal for winning the war against decay and gum disease, and helping you realize a healthier dental future.